TDS TV is all you need for your viewing options for the next few weeks. We’ve got tense war movies, adorable animated bunnies, creepy ghost stories, the Coen Brothers, silly action films and so much more. It’s all at the touch of your fingers. 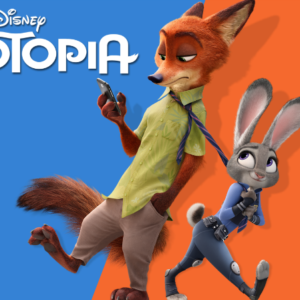 “Zootopia” may be my favorite film of the year thus far. Kids and adults will love it. Visually, the film is stunning, and the script is wickedly funny. The film’s message of tolerance is nicely done—simple and subtle without the typical heavy-handedness you would expect. 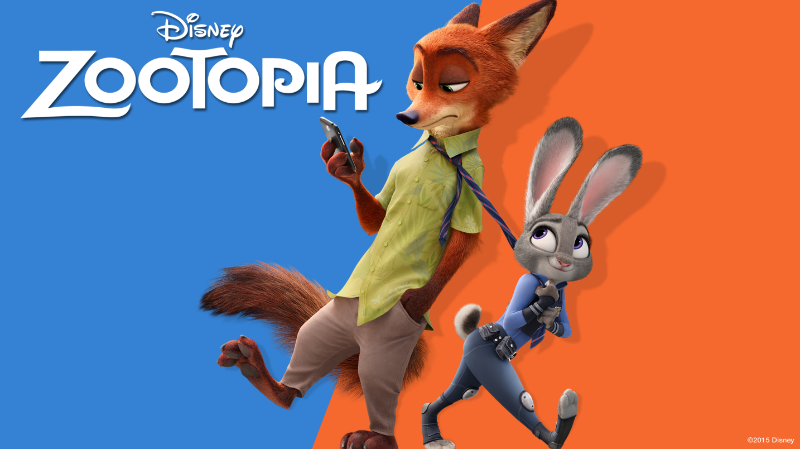 Get the family together—young and old—you’ll love the world of “Zootopia.” Available June 7. “The Other Side of the Door” is a decent (but not very original) ghost story set in India. The plot surrounds a mentally unstable woman who mucks up a dark ritual that allows her to speak to her recently dead son. As you would expect, bad things ensue. A solid cast is boasted by an intriguing location. Available June 7. The Coen Brothers latest is a farce surrounding Hollywood fixer Eddie Mannix (Josh Brolin), who has to deal with the kidnapping of a film star (George Clooney). The movie suffers from too many characters and too many plot lines, but it’s a pleasant and clever romp that has an obvious love for Hollywood’s Golden Age. Available June 7. 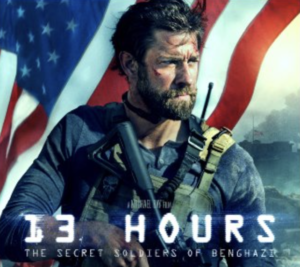 Gritty, intense action film surrounding the attack on the American compound at Benghazi in 2012. It’s a well-done movie that wisely avoids most of the politics involved and sticks to the courageous men assigned to protect the compound. Available June 7. Engrossing true story about the Puccio Clan, a seemingly normal family who would kidnap and kill people in Argentina in the 1980s. “The Clan” is dark and disturbing and, at times, shockingly violent. In Spanish with subtitles. Available June 14. “Eddie the Eagle” is a funny and rousing film following the exploits of Eddie Edwards, who (despite his lack of skill) would strive to be the first Englishman to qualify in the jump skiing competition at the Winter Olympics in Calgary in 1988. Taron Egerton is wonderful as Eddie, who’s determination in face of overwhelming odds would make him a folk hero around the world. Available June 14. Old-school action and mayhem take center stage in this simplistic sequel to “Olympus Has Fallen.” It’s a guilty pleasure film complete with inane plot points, lots of guns and lots of explosions. Gerard Butler, Aaron Eckhart and Morgan Freeman all return. Available June 14. 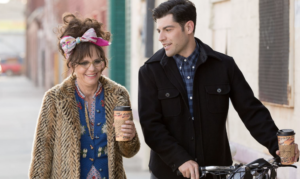 Sally Field stars as a frumpy woman who develops a crush on a man half her age (Max Greenfield). Using advice from a self-help guru (‘Impossible? Make that I’m possible!’), she makes her play at romance. The film’s older woman/younger man dynamic is played with a light touch, and the leads really make for a fun romantic comedy. Available June 14. A young Jesus of Nazareth gradually discovers his special powers – as well as his own destiny. “The Young Messiah” is a thoughtful and reflective film – so much so that at times it teeters on boring. Still, fans of faith-based movies will likely find it compelling. Available June 14. One of TV’s best crime procedural dramas is coming to an end. Enjoy the final 13 episodes as detective Jane Rizzoli (Angie Harmon) and medical examiner Maura Isles (Sasha Alexander) put the kibosh on the bad guys. The final season premieres on Monday, June 6, on TNT. Dark drama/comedy about a TV producer of a popular reality dating show (think “Bachelor”). The show is snarky and fun – as well as painfully accurate. Season 2 premieres on Monday, June 6, on Lifetime. Nerds rejoice – Voltron is back with this remake of the 1980s animated television series. Expect a more mature Voltron with veterans of “Avatar: The Last Airbender” and “The Legend of Korra” (two of the best animated series in the last decade) behind the scenes. All episodes drop on Friday, June 10, on Netflix. Robert Redford produced this 8-part series telling tales of the American frontier in the decades after the Civi War. The series mixes dramatizations with interviews with notable actors such as James Caan, Ed Harris, Danny Glover, Burt Reynolds and Tom Selleck. “The American West” debuted on Saturday, June 11, on AMC. After FX’s 10-part mini-series, you may think you have had enough of O.J. Simpson, but this new film (made by ESPN) is not to be missed. “O.J. 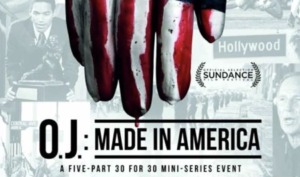 : Made in America” is an ambitious documentary that takes us on a five-part, eight-hour journey into life of one of football’s greatest stars. The series first installment will air on ABC on Saturday, June 11, then repeat on Tuesday, June 14, on ESPN. The ballots are in. Expect to see the name “Hamilton” on a lot of them. The critically-acclaimed Broadway smash is up for 13 prizes – the big question will be if it can break the all-time record of 12 awards (nabbed by “The Producers” in 2001 and “Billy Elliot” in 2009). James Corden, who currently holds down “The Late Late Show,” will host the proceedings. Check in for the fun and find out if history is made. Sunday, June 12, CBS. “Walking Dead” favorite Norman Reedus (aka Daryl) hops on his beloved motorcycle and tours a different part of the country each week in his new reality show. Expect lots of celebrity guests to come along for the ride. Sunday, June 12, AMC. “The Good Wife” creators Robert and Michelle King return with a comedy-thriller where members of congress are having their brains eaten by alien bugs. If that sounds kooky, you’d be right, but we’re hoping for some evil fun as well. “BrainDead” features a nice cast, including Mary Elizabeth Winstead and TV veteran Tony Shalhoub. It debuts on Monday, June 13, on CBS. This 10-episode crime drama centers on a teenage boy who moves in with his relatives in their California beach town after his mother dies of a heroin overdose. Ellen Barkin stars as the family’s powerful matriarch. “Animal Kingdom” kicks off on Tuesday, June 14, on TNT. The classic John Candy film of the same name is now a TV show for the second time (a 1990 attempt by CBS failed miserably). This time around, the beloved, bumbling Buck is played by Mike Epps. “Uncle Buck” debuts on Tuesday, June 14, on ABC, with two episodes. Time for some binge-watching! The critically-acclaimed prison drama “Orange is the New Black” is back with a fourth season. All 13 episodes are available on Friday, June 17, on Netflix. This remake of the 1996 cult classic stars James Franco (who also directs). A woman discovers her daughter is a lesbian – and her new girlfriend is a vampire. Such drama! Tori Spelling, who starred in the original, plays the mother. Catch the fun on Saturday, June 18, on Lifetime. 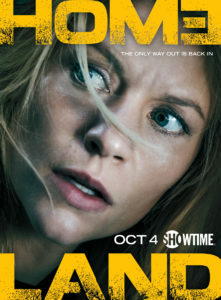 Showtime’s acclaimed “Homeland” is reportedly set to be renewed for an additional two seasons (which would be seasons 7 and 8). Star Claire Danes is on board, as well as showrunner Alex Gansa. Season 6 will premiere in January of 2017. Simon Cowell, famed for his sharp reviews on “American Idol,” has joined Fox’s “America’s Got Talent.” Cowell, who is replacing Howard Stern, joins judges Howie Mandel, Heidi Klum and Mel B. The legendary Julie Andrews is returning to TV in Netflix’s new preschool series “Julie’s Greenroom.” The show is about the performing arts, and will be produced by the Jim Henson Company. FX has given the go ahead for an X-Men-themed series titled “Legion.” The show, which will star Dan Stevens (“Downton Abbey”) will get an eight-episode order. Watch for “Legion” in 2017. Starz has renewed the time-traveling romance “Outlander” for seasons 3 and 4.